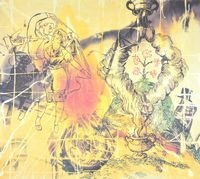 Find more information about the offered work at Sigmar Polke Affenschaukel Details. 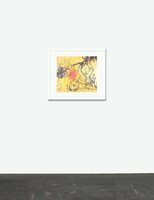 You want to buy Sigmar Polke's Affenschaukel and you have questions regarding the checkout? We've collected in-depth details for you. You want to find out more about the artist? 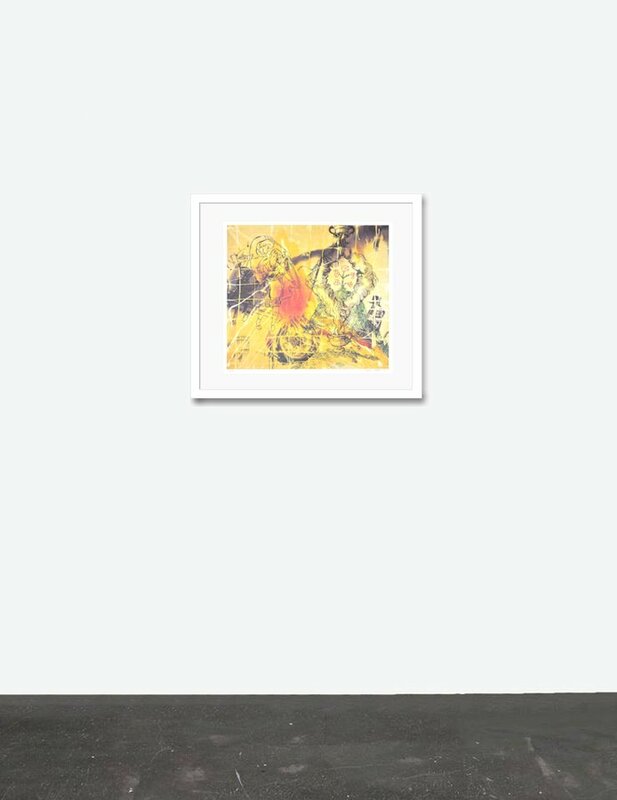 Under Sigmar Polke you can find more details about the artist's life and work. 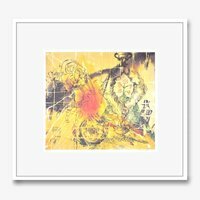 Sigmar Polke's sought-after lithograph 'Affenschaukel' from 1995 is in a flawless original condition. 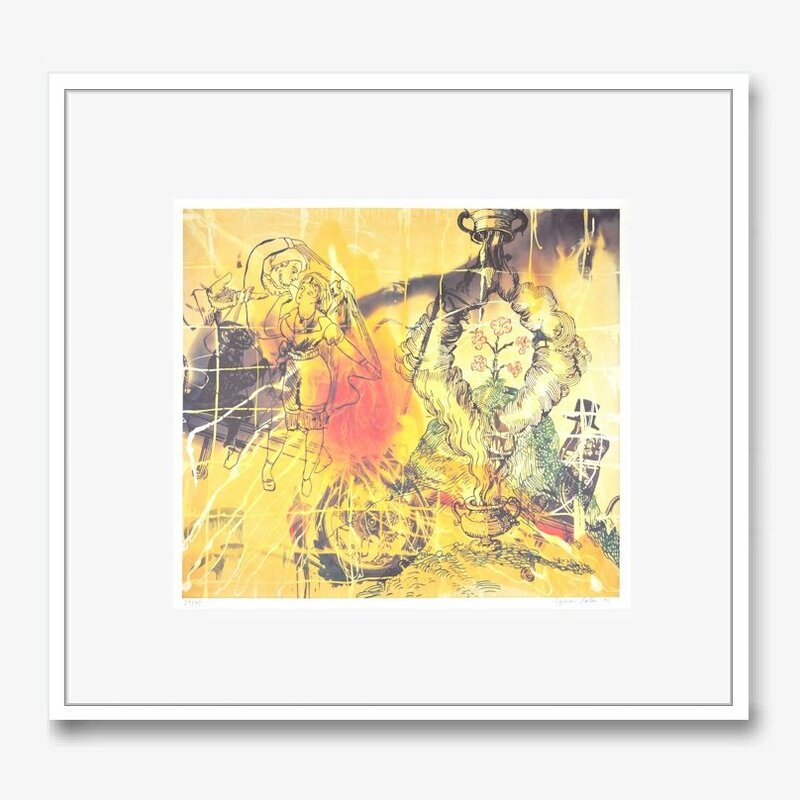 Polke's graphic edition with a sheet size of 21.7 x 29.5 in is handsigned with lead, dated, and numbered. We are happy to be able to offer you one copy of this usually sold out graphic print. The luminous artwork shows a wild mess of seemingly unrelated figures, signs, symbols, and parts of the subject. 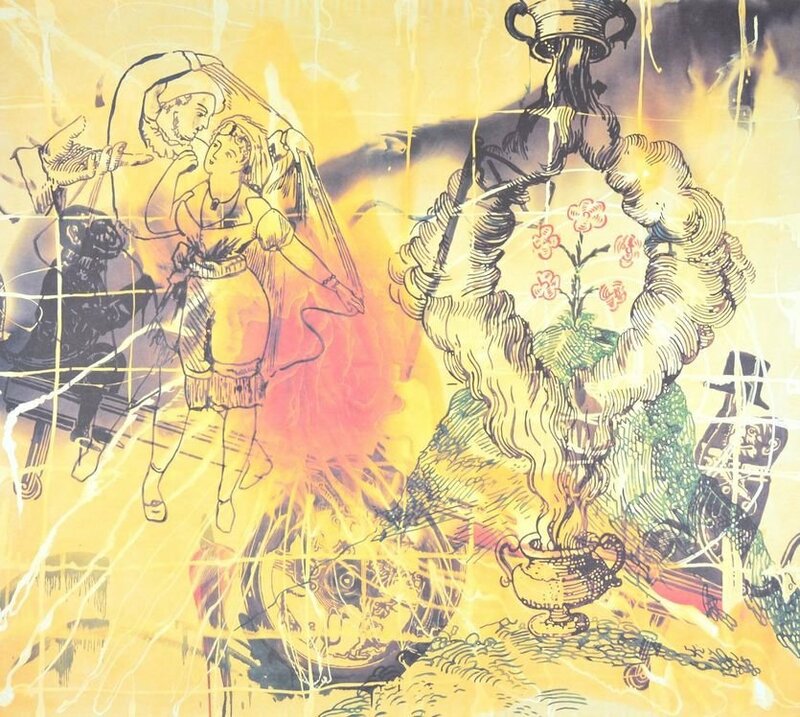 Polke combines different styles and ways of presentation in this artwork. Besides the actual monkey swing in the centre of the artwork, the artwork shows a couple drawn in a fine line, and smokey bowl, whose smoke rises divided in two parts and unites again in another upside-down bowl. A green hill with blooming flowers in front of an abstract background reminding of fire, smoke and heat. 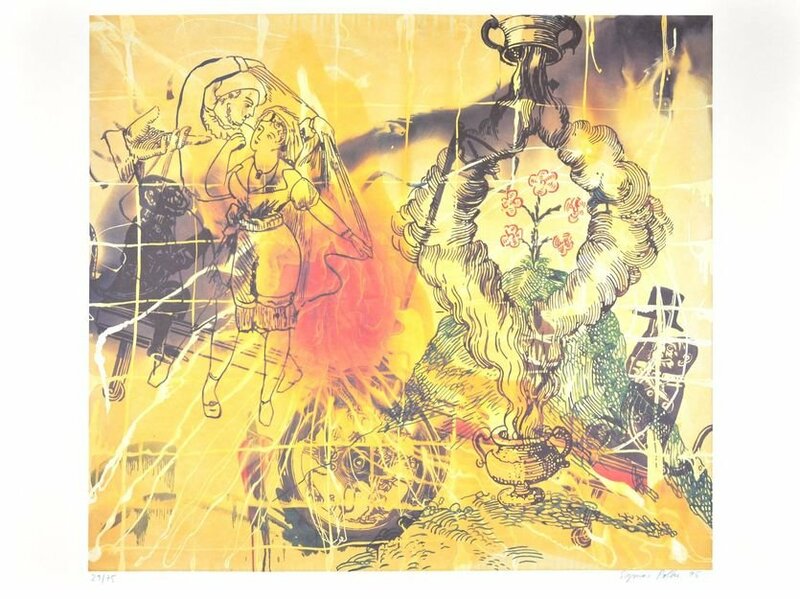 Our copy of this Polke-lithograph has the number 29 from an edition of 75 copies.